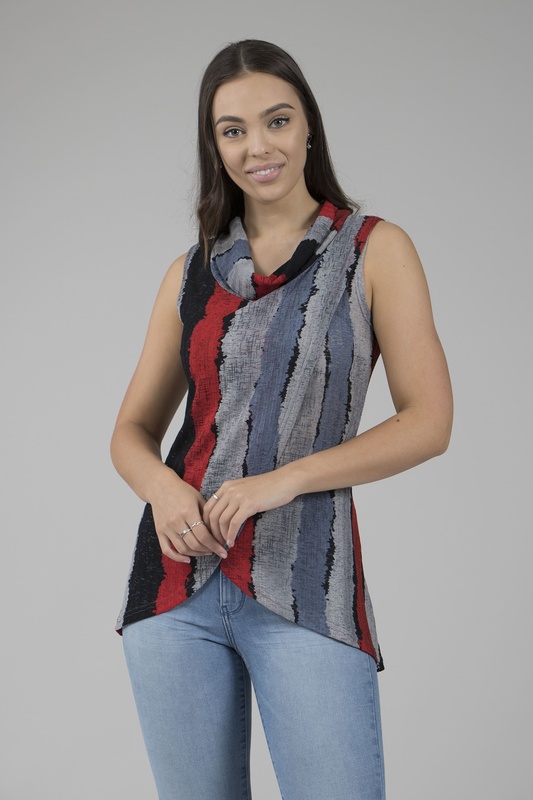 Fitted and fashionable, this stripe crossover top is the perfect layering piece for this season. 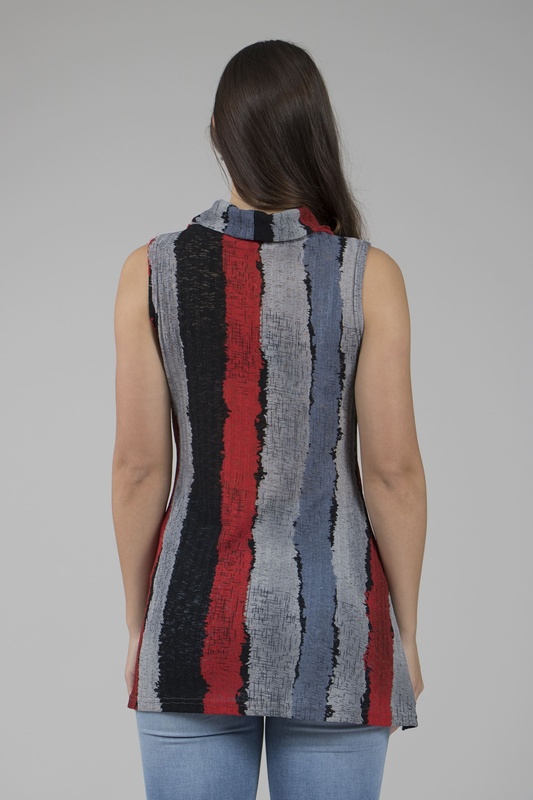 Fabricated in a soft stretch stripe printed fabric, it features a cowl neckline and a curved centre front hem. Wear this style with slim pants and strappy heels for a casual chic day look.